Curious about exploring Delhi? Read on for a first-hand account about what it’s like to experience this stunning city up-close. We caught up with two Greaves clients who embarked on a two-month tour of India. Read on for their impressions of this once-in-a-lifetime trip. Was this your first time travelling to India? If not, where had you visited previously? No, this was our sixth trip to India. On previous trips we have visited Kolkata, Darjeeling, Sikkim, Delhi, Agra, Kerala, Ranthambore, Madhya Pradesh (including some tiger safaris), Himachal Pradesh, Orissa, Tamil Nadu, Mumbai, and we have visited several places in Rajasthan, returning to some quite a few times (Jaipur, Samode, Jodhpur, Mandawa, Bikaner, Jaisalmer, Deogarh, Chhattrasagar, Udaipur). You started your trip in Patna, one of the oldest continuously inhabited places in the world. It must be teeming with things to see of so many different periods – what did you see and what was the highlight? We were in Patna to visit an NGO which works in schools throughout Bihar, but we did plan a morning’s sight-seeing. The Golghar, originally built as a grain store by the British army in 1786, was interesting to see from the outside, and the museum had a few interesting displays, but, rather to our surprise, the visit we enjoyed most was to the zoo! It was good to stretch our legs and walk around this pleasant park for a while, and we enjoyed seeing leopards, tigers, deer and other animals. One of our very well-meaning guides confused a giraffe and a zebra, which did make us laugh! 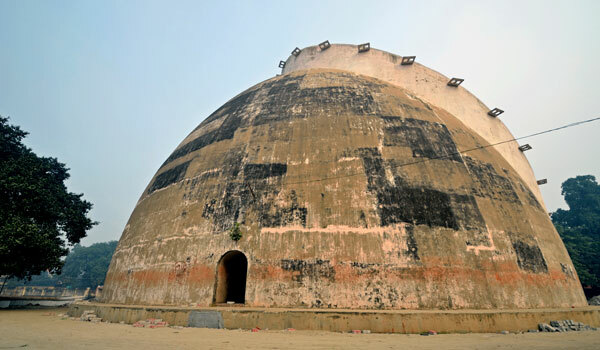 We are sure there are some interesting places to visit further afield in Bihar, but Patna is not really a place we would recommend for pure tourism. Following Patna you had five days in Delhi, most people can’t wait to get out of the city and somewhere less crowded – what did you find to see and did you have enough time? Actually, we are both fond of exploring Delhi! It certainly helps being able to retreat to the wonderful Imperial, which by now feels like home from home, but we think the surprisingly beautiful Delhi gets a bad press. We were primarily here to see a number of people, but we did manage a visit to the garden of the President’s Palace, which is only open at this time of year. It was delightful and very well set out. 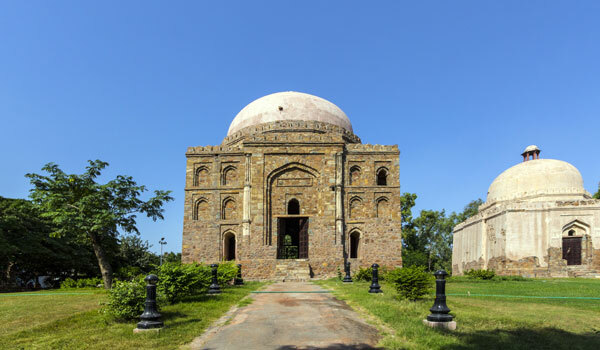 Having had guided tours to the main tourist sights on previous visits, whenever we are back in Delhi we try to fit in quick visits to either the Red Fort, the Qutub Minar or Humayun’s Tomb. On one trip we found it fascinating to visit the Coronation Park, where Queen Victoria was proclaimed Empress of India, and later Edward VII crowned Emperor of India. That day was very foggy and all these old statues of former colonials loomed eerily out of the mists. We also enjoyed seeing St James’s Church, and the Memorial to those killed during what the British call the ‘Mutiny’ but Indians view rather differently. Now that I have recently read William Dalrymple’s wonderful book,The Last Mughals, I am keen to go back to this area. The Museum of Modern Art in Jaipur House is really worth a visit – excellent examples of the various schools of Indian art, very well explained. On recent stays in Delhi, friends have also taken us around the various Mughal ruins in the Hauz Khas area. There are so many fascinating relics of this period in and around Delhi. Our friend, Charles Lewis, and his son, Karoki, have produced splendid books about Delhi’s historic villages and Mehrauli – fascinating. Whenever we are in Delhi we always try to get a walk through the lovely Lodi Gardens – such a precious green space, dotted with old Mughal buildings and much loved by Delhiites. Pune was the summer capital of India and typified the British Raj, is the British effect still very much imprinted on the city? Once again, we were in Pune to visit an NGO this time, but we did enjoy a guided tour of the town, which has many interesting old buildings, little changed for decades and reminiscent of colonial buildings around India and indeed in Jamaica where I grew up. We also did a walking tour with our guide, which was a very good way to see more of some of the backstreets. I was trying to track down the grave of an English woman, the mother of a family friend, who had died in Pune in 1921, so we visited a couple of churches and the enormous St Sepulchre’s cemetery – a different side of Pune. This is a very pleasant and very clean town, and one we would like to explore further. Did your experience in Bengaluru differ significantly from your time spent in Delhi? How do the two large cities compare and contrast? We were visiting another NGO in Bengaluru, so didn’t have much time for tourism, though we did see the main government buildings from the outside, visited Tipu’s wonderful summer palace, and enjoyed a walk in the park. We had heard so much about the vast expansion of the town and the fact that so many trees had been sacrificed to building housing and offices, that it was a complete surprise – and a wonderful one – to drive into the grounds of the Taj West End hotel. This gorgeous place is set in the most splendid gardens, filled with giant tropical trees, and every morning we awoke to the sound of birdsong. It was worth going there just to spend a few days at this lovely hotel! What was your experience like when visiting the Tibetan settlement of Bylakuppe? I’m afraid that, after a long drive from Bengaluru, we opted to head straight for the hotel in Coorg, which was delightful. We had hoped to pay a quick visit to the elephant camp, but the road was closed and it would have meant a bumpy ride in a tuk tuk, so we just headed for the peace and calm of the Taj in Coorg. 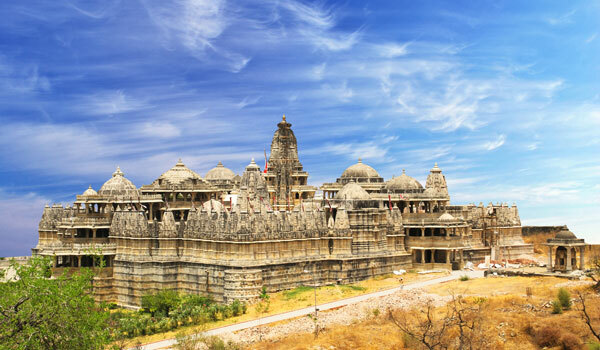 You also did an extensive tour of Rajasthan visiting Udaipur, Jodhpur, Samode, Jaipur and Deogarh, particularly Udaipur – they are all very different but what was the highlight for you? Rajasthan always calls us back, and we have a number of old favourites there. 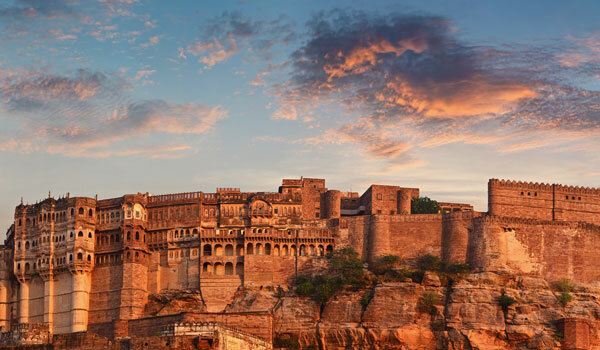 Since Greaves introduced us to the Raas Hotel, Jodhpur, nestling in beautiful historic buildings and a lovely garden right under the stunning Mehrangarh Fort, this has become one of our favourites. 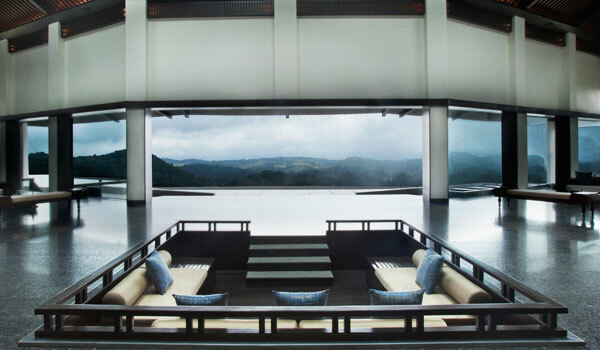 It is hard to beat the breathtaking views from the rooms there. 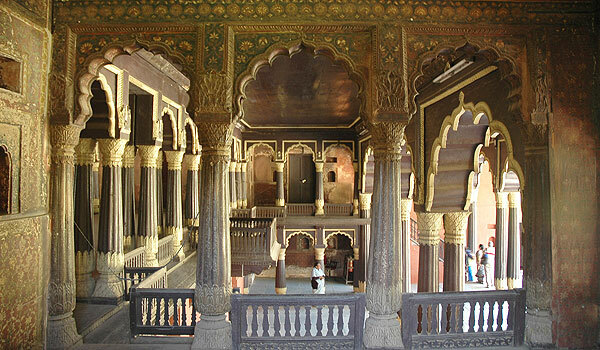 Samode Palace is another favourite – an old fort that became a sumptuous palace, hidden in the rocky hills so that you are under the walls of the palace before you have seen it. It has lots of fascinating nooks and crannies to explore, plus two great pools and a friendly village to wander in. No wonder we keep going back! Deogarh Mahal is an old friend, another palace with lots to explore and a wonderful audio tour narrated by William Dalrymple and the late Rawat. One of the highlights of staying there is chatting to the delightful former Rani (the late Rawat’s widow) and the current Rawat himself, her son. This royal family has always lived here and they take a keen interest in the palace, its guests and the village. When you travel do you tend to eat in the hotels you stay in or do you venture out into really local restaurants? Did you have any particular memorable meals this trip? Most often we eat in the hotels, and have found the (Indian) food excellent. But we have had some good meals out, particularly in Delhi with friends. We were recently taken to Karim’s in Old Delhi, close to the Jami Masjid – a famous old place with lots of atmosphere. We also had a delicious meal at a relatively new Bihari restaurant, the Potbelly Rooftop restaurant – good fun! You must have covered a lot of miles by car, any hair-raising experiences on the notorious Indian roads, or did it all work like clockwork? Fortunately, all the drivers employed by Greaves have been excellent, so we have never had anything too hair-raising, but we’ve seen enough to know that, although we drive all over the world, India is one place where we won’t get behind the wheel! It’s the unexpected things: the realization that a nice new dual carriageway is actually treated as parallel two-way roads so you are very likely to find a big truck coming towards you on what you thought was your carriageway, or find that a farmer has decided that the fast lane of a new highway makes a great place to dry his grain! On one recent drive that found us winding through the lovely countryside back to Udaipur after dark, it was alarming to see that many people drive without lights! But there is always so much to see on these drives that they are always interesting. This last time as we drove through a Rajasthani village on the way from Udaipur to Jodhpur we saw the tops of twirling umbrellas in a tented area on the roadside and stopped to investigate. It turned out to be a big birthday party to which we were immediately invited. John was given an umbrella and invited to dance, before being offered some opium (which he declined, much to our hosts’ dismay!). During your extensive tour of India you must have seen some amazing buildings, monuments and temples – which really stuck in your mind? The temples of Tamil Nadu and Orissa are quite extraordinary, and we were lucky enough to have excellent guides in these states to show us around and explain everything. Konark is just wonderful, as was the temple in Madurai and many others. 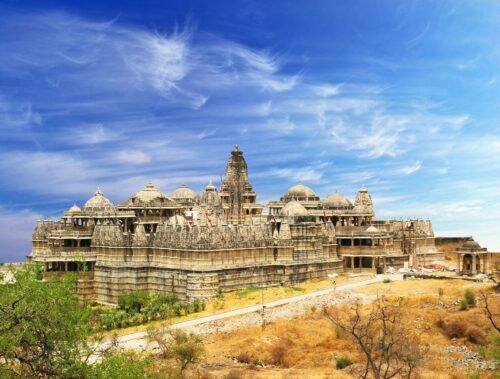 We never tire of exploring the forts and palaces of Rajasthan, particularly those in Jodhpur, Jaisalmer and Udaipur. This last time we were able to attend a series of dance and music recitals at the City Palace in Udaipur, as part of a festival leading up to Holi, and it was a real treat to sit in front of the palace and be immersed in Indian culture. A friend who has studied Indian classical dance was able to explain the various techniques to us, which made it all the more interesting. But perhaps our favourite place is the magical Jain temple at Ranakpur with its 1,444 carved white marble pillars, no two alike. It is quite stunning. The drive between there and Udaipur is one of our very favourites, winding through the Aravalli hills, with water wheels, bullock ploughs and tawny coloured fields on all sides. What was your experience of travelling with Greaves India? We have now travelled with Greaves on the last five of our six trips, and been really impressed with the careful and thoughtful preparation of our tailor-made trips, Varuna’s patience even if we have to make changes when everything has been arranged, the team’s knowledge of each area and its hotels, the choice of really excellent guides almost everywhere, very good drivers wherever we have been, and the fact that not once in five long trips have we ever been let down by a driver or a Greaves representative. On the one occasion when a hotel failed to meet expectations, the Delhi team were on hand to help make alternative arrangements, and they make a point of letting you know that they are on call night and day. To see the ever-smiling young Giri waiting for us on our arrival back in Delhi, whatever the hour, always wipes away the cares of a long flight! Delhi features in our itinerary; The Heart & Soul of India.